Beirut is one of the oldest cities in the world, and one that has had a fascinating, and difficult history. The city has a beautiful setting, as a peninsula jutting out into the Mediterranean Sea, and flanked by the Lebanon mountains. 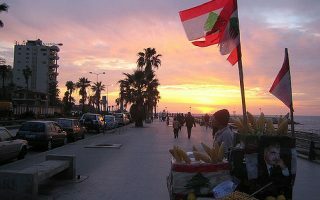 Beirut has been in the process of reconstruction and is regarded as a major cultural, intellectual, and commercial center. The seaside setting makes for some lovely running in Beirut, and there is a growing running scene in the city. The signature run in Beirut is the seaside promenade known as the Corniche, which runs nearly 5 km from Zeituna Bay to the Raouche Rocks. Another pleasant waterfront run is along the Dbayeh marina, about 10 km north of the city center. For a green oasis, there are lovely paths in Horsh Park, near the National Museum. You can also create your own run around the revitalized Central Business District and adjoining downtown area, around Zeituna Bay. There are some buses in Beirut, and a bike share system was recently introduced. The signature run in Beirut. The path along the Mediterranean coast from Ain al-Mreisse south to the Raouche Rocks features great water views, hotels, restaurants, and some great Beirut sights. The most pleasant urban park for running in Beirut. 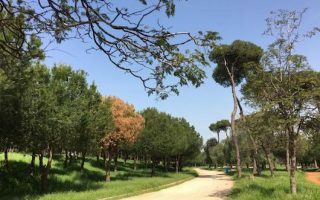 Located near the National Museum, one can put together a 2.0-2.5 km lap along paths featuring pine trees and lovely greenery. The park has quite a history and was only reopened to the public in 2015. 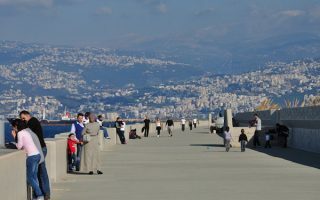 About 10 km north of central Beirut, the marina offers pleasant running with good air, along a combination of quiet streets and waterfront paths. It's about 3 km from one end to the other. Beirut has a hot summer Mediterranean climate, which is pleasant nearly year-round. Summers are hot and nearly rainless, with high temperatures averaging a not unbearable 30C (86F), with warm nights. August, particularly, can be humid. Winters are mild and can be quite cloudy and rainy. Average January high temperatures are in the 18C (64F) range, with nights dipping to 11C (low 50sF). 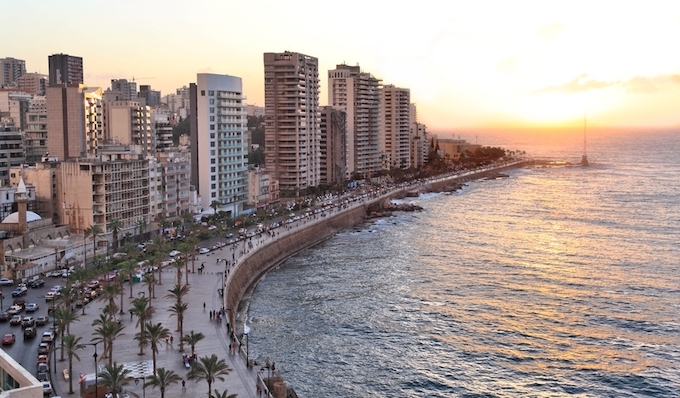 Beirut is growing in popularity and recognition as a commercial and destination. There’s a growing list of hotels to suit every budget. From a running and safety perspective, we recommend trying to stay near the Central Business District and the near the part of the Corniche that stretches from Zeituna Bay to the American University. The is a growing running culture in Beirut. World Runner is a new store in the Corniche area. Nike Running store is one of the best bets, located in the Beirut Souks area. They have group runs Monday, Tuesday and Thursday at 6:34 pm from the store. Info. Adidas also has a store in the Beirut Souks. From the Nike running store in the Souks area: Monday, Tuesday and Thursday at 6:34 pm from the store. Info. Elite Running Club. The best source of information for group runs and running events in Beirut. This calendar from the Elite Running Club is a good source of info about running events in Beirut, as well as training runs! BLOM Beirut Marathon, November. Growing in popularity.